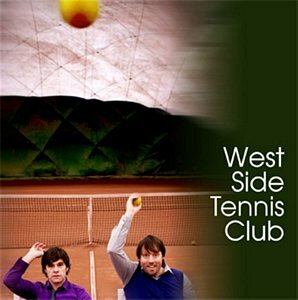 Savoy-drummer Frode Unneland’s side-project West Side Tennis Club (WSTC) have now released their first album. Frode and producer Bjørn Ivar Tysse, who played together in Chocolate Overdose back in the day, have been working on WSTC on and off since the late 90s. And now, in late June, their self-titled debut album was finally released. The album, which is available digitally from Amazon.com, Play.com and 7digital (among others), includes the song “In The Waters Glow”, which has been written by Lauren Savoy and also features her on vocals. That song, as well as several others from the album, can be heard on WSTC’s Urørt page. “We’re hoping to do some live gigs with WSTC. Either alone or with a band“, Frode told me last year. In April 2010 they did a support gig at Kvarteret in Bergen, but further concerts have not yet been announced. In 2007, Frode and Lauren worked on some new Savoy material in Bergen with Bjørn Ivar Tysse producing. An article about this can be found on savoy-news.com.